With the recent opening of East Vancouver's Parallel 49 Brewery, the dilemma of whether or not to relax the tied house and trade practice laws has once again become a topic of discussion in Vancouver and BC craft beer circles. For those not familiar with what tied houses and trade practices are, "a tied house is an establishment that has an association, financial or otherwise, with a liquor manufacturer or its agent that is likely to lead to its products being favoured," according to the Liquor Control and Licensing Branch's Tied Houses and Trade Practices Consultation Paper, released January 2011. If a tied house situation exists, the manufacturer is not allowed to sell its alcohol through the tied house. Trade practices laws regulate "commercial interactions between liquor suppliers and licensed establishments including restrictions on promoting specific manufacturers and their products in exchange for benefits provided by the supplier" (LCLB Consultation Paper, p.2).These trade practice restrictions are meant to stop producers of alcohol from basically bribing licensed establishments by offering freebies to them in exchange for exclusive or preferred sales deals. 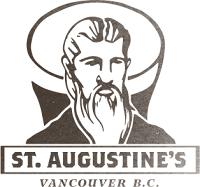 Because of these laws and the fact that Parallel 49 Brewery and St Augustine's Craft Brew House and Kitchen have some common owners, St Augustine's is considered a tied house and are not only prohibited from pouring Parallel 49 beers from any of its 40 taps or sell any of the brewery's bottled products, but are also prohibited from placing so much as single Parallel 49 coaster, poster, beer umbrella or any other Parallel 49 promotional swag in the restaurant. This is not an isolated problem as there are other tied houses here in BC where small breweries and wineries are being hurt by the laws that are meant to protect them. "Quite simply I can't do any sort of cross-promotion, cross-branding, cross-anything with my 2 businesses," states Parallel 49-St Augustine's co-owner Anthony Frustagli. "I don't know of any other industry this applies to. If you own a farm and grocery store, can you not sell your veggies in your store? If you own coffee roaster and a cafe, should you not be able to sell coffee made from your beans?" Frustagli makes some good points, but then the alcohol industry, especially in BC, is like no other industry out there in regards to unique regulations, restrictions and government control. The existing tied house-trade practice laws date back to the 1950's and were put into place to stop the larger, national breweries from using their deep pockets to buy up pubs or bribe them in order to feature and favour their beers. The laws were meant to protect the smaller, local breweries by allowing them compete on a level playing field, but as the craft beer industry grows here in BC and more and more entrepreneurs, with varied business interests get involved, these laws, in some cases, are actually harming those smaller businesses they are meant to protect. When asked if he felt the tied house and trade practice laws were protecting his newly-opened, craft brewery, Frustagli was not really in support of maintaining the status quo. "Does it (tied house-trade practice laws) protect P49 (Parallel 49), debatable," stated Frustali. "Giving the big boys the green light to open up their cheque books is a bit of a scary thought, but at the same time the rule isn't exactly being enforced right now anyway. "I'd like to see a reasonable middle ground. Perhaps capping a percentage of taps/bottles in your bar/restaurant/LRS that can come from your brewery/winery/distillery, and something ensuring that they are marketed competitively with other products." This seems to me like a reasonable middle ground, allowing the alcohol manufacturer to offer their products in licensed establishments linked to them, but prohibiting them from favouring their products by mandating them to offer competitors' products at a competitive prices. This would restrict the bigger breweries from squeezing out competition by monopolizing all the taps and cooler/shelf space and still allow the smaller breweries to offer their products in these tied houses. In my original post dealing with this issue, I came out as against loosening up the laws due to a fear that the big breweries would open up their wallets and try to stifle the competition, namely the craft beer industry, which is slowly eating into their market share here in BC. But in the past year the craft beer market, at least here in Vancouver, has changed so much, with craft beer getting support from a variety of new establishments, including unlikely sources like The Donnelly Group, The Cambie Malone's Group and Earls. I believe the smaller local breweries will have no problems finding licensed establishments that are willing to ignore the big breweries. There are just too many places committed to serving locally produced, quality craft beers and there are more and more coming on board the craft beer wagon every week. Some are motivating by money, just wanting to cash in on the craft beer craze, some are motivated by wanting to serve the best local beers they can source because, quite simply, they are superior products, but either way, more and more taps are becoming available to pour craft beer. As mentioned above, the BC Liberal Government issued a consultation paper asking for written feedback on three proposed options to loosen up laws and/or deregulate in regards to tied houses and trade practices. Since that time, not a word has been spoken about the tied house rules. At the time when the deadline for the written submissions passed, the whole HST debacle was in full swing and the Liberals were in survival mode so "non-important" issues, like tied houses, were put on the back burner where they have seemingly been forgotten about. I recently asked the Liquor Control and Licensing Branch directly as to what happened to the proposed changes and received an email from a LCLB spokesperson saying, "the Province (government) is reviewing possible changes to tied house regulations that specify how liquor manufacturers can promote their products in licensed establishments. Meetings have been held with industry associations to seek their views. Results of the consultations have been mixed and the Province is continuing to review the matter." In other words, nothing has been done. I don't know who these "industry associations" are, but I certainly have not talked to anyone who has been involved, including a few people I know who are directly impacted by the tied house rules. I spoke to one LCLB Liquor Inspector a few months back and he stated to me the government would "never" relax or change the tied house or trade practice laws, but offered no reasons as to why he believed this or where his information came from. Let us hope that the government gets it right if they are indeed going to include these issues in the upcoming review and promised changes to the province's liquor regulations. If they choose to not make changes, small breweries like P49, who are motivating by making great beer and not by crushing the competition, will continue to be restricted by the laws that are meant to help them and if they deregulate completely, it may leave the door open for the big, national breweries, owned by gigantic, multi-national corporations, to attempt to throw their financial weight around in order to crush the craft brewing industry. I think even if the market is opened up completely, the local breweries are producing enough great beer and have enough loyal support to withstand the onslaught, but why even put them in that position. The government should be supporting this local, viable industry and encouraging it to grow, not stifling it or allowing it to be swallowed up by mega-conglomerate corporations. And on a more person level, I would love nothing more than be able to walk 200 metres from my front door and enjoy a P49 IPL in my favourite local craft beer establishment, which happens to be St Augustine's. 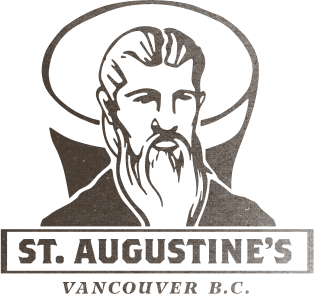 VanEast Beer Blog is Back...Stay Tuned. After more than a month's hiatus, VanEast Beer Blog is back, full of piss and vinegar and I am ready to issue forth a number of rants and opinion-filled posts over the next few weeks. I am currently working on posts related to Mr Rich Coleman's doublespeak in regards to the sale of the Liquor Distribution Board's distribution centres, revisiting tied house laws and how the time might be right for change in BC and voicing my opinion as to why craft beer drinkers need to get behind the concept of Bring Your Own Craft Beer. If you want to catch up on these subjects and get some background information on where I am coming from, check out the links above to posts. If any of these subjects interest you, keep your eyes open for Facebook updates or Twitter which I will send out when the posts are up on the website. And if you have any ideas for posts, please let me know. Thanks for being patient and for all the feedback, both positive and negative, you provide. Let's make some noise and try to shake things up to bring about more positive changes to the craft beer industry and craft beer scene here in Vancouver and beyond.